A new collaborative project led by researchers at the University of Southampton will take a novel approach towards a systemic understanding of liver function and disease based on integrated tissue slice culture and nuclear magnetic resonance metabolomics. The TISuMR project, with an award of more €3.1M, is part of the highly prestigious “Future and Emerging Technologies” (FETOPEN) call of the EU Horizon 2020 research framework. It brings together expertise from Southampton, Karlsruhe Institute of Technology in Germany, and the University of Groningen in the Netherlands. 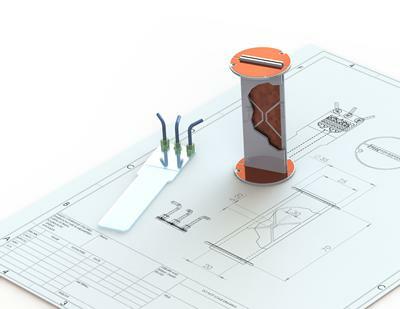 TISuMR combines ground-breaking technology in NMR detection of small systems with cutting-edge microfluidic lab-on-a-chip devices in order to culture live slices of liver tissue, while continuously monitoring biological and biochemical processes in the tissue with unprecedented detail. TISuMR will also have a profound impact on wider society by providing alternatives to animal testing, by increasing the efficiency and specificity of drug safety testing, and by enabling new treatments in the management of liver disease. The project’s revolutionary approach will provide novel insights into the functioning of the liver, and the interplay between its various cell types. It will allow us to study the progression of liver damage due to disease, as well as the effect of drugs on the tissue. Liver disease is a significant and growing public health problem: 29 million people currently suffer from a serious liver condition in the EU. While the causes for some liver conditions are known, the mechanism of liver damage is generally poorly understood, largely due to the difficulty of studying live liver tissue at the systemic level. The proposed comprehensive research programme leads to a new technological platform for microfluidic tissue slice culture with direct observation of tissue metabolism and transport processes through nuclear magnetic resonance. “Ultimately, TISuMR will provide a novel platform to study tissues as biological systems, while providing unprecedented insight into their inner workings,” says Professor Marcel Utz, Head of Southampton’s Magnetic Resonance Research Group. “Life science research will benefit from this on a broad range of fronts, including the development and testing of new drugs, as well as the study of cancer and other important diseases. TISuMR joins the expertise and creativity of four leading academic groups and one SME representing the disciplines of microengineering, physical chemistry, magnetic resonance, biochemistry, toxicology, and clinical hepatology across three institutions from three EU countries. Due to its high level of interdisciplinary integration, TISuMR is uniquely able to provide emerging researchers with a career springboard.